Microservices require a lot of infrastructure, which is implemented by separate services. Load Balancers are used to load external HTTP requests from clients. Static content is delivered via a content delivery network. The business requirements services are supported by a variety of platform or infrastructure services. These take over central tasks such as application and service monitoring, logging web services, operations databases, configuration management, encryption, authorization and authentication, as well as auto scaling, software distribution, A/B testing and fault injection testing (FIT). In addition, there are central routing services , which deal with the assignment of URLs to instances with the respective services. In addition there are services for data persistence, in particular caching, relational databases and NoSQL databases, as well as BLOB storage for arbitrary files. Both SOA (service-oriented architecture) and microservices use services as architectural elements. SOA uses services to integrate different applications. The combination of services is orchestrated or choreographed , and portals can provide a common user interface (UI) for all services. Microservices structure an application through services. Each microservice can contain a user interface and implement business processes as found in SOA in the orchestration. Microservices is a bunch of focused and small services which, on execution develops a complete application. A single responsibility of the application which we are developing is represented by an instance of a microservice. The product or software which might have taken a year to deliver can now be delivered in weeks with the help of Micro Service Architecture. SOA uses Enterprise Service Buses which is comparatively a slower with respect to messaging mechanism used in Microservice Architecture, SOA consists outsized RDBMS whereas Microservice Architecture use micro-SQL. Microservices has more differences with SOA. Presently, Microservice Architecture becoming more precise and smaller architecture which introduce many benefits enough to make the business more scalable. Also, testing and maintenance across various independent teams become possible. How we can achieve data consistency in a microservice architecture? Each database model should be 100% decoupled from another. Achieving data consistency can be very challenging. We should plan ahead on how to handle the failure scenarios in the future in-order to acquire data consistency in an early design stage. This Article Has Been Shared 395 Times! Real Cloud OS build on Rackspace Ubuntu Cloud Server with Guacamole. Access a real Ubuntu 12.04 Desktop Computer on Cloud from your browser with everything. Apache Beam is a programming model to define and execute data processing. Here is How To Install Apache Beam on Own Server. SQLLine is a Java console based for connecting to databases to execute SQL commands. Here is How to Install SQLLine on Ubuntu For Using With Big Data Tools. Apache Webserver Also Can Work as Loadbalancer. Here is Ubuntu 18.04 Apache Reverse Proxy, Loadbalancer Configuration Step by Step Guide. 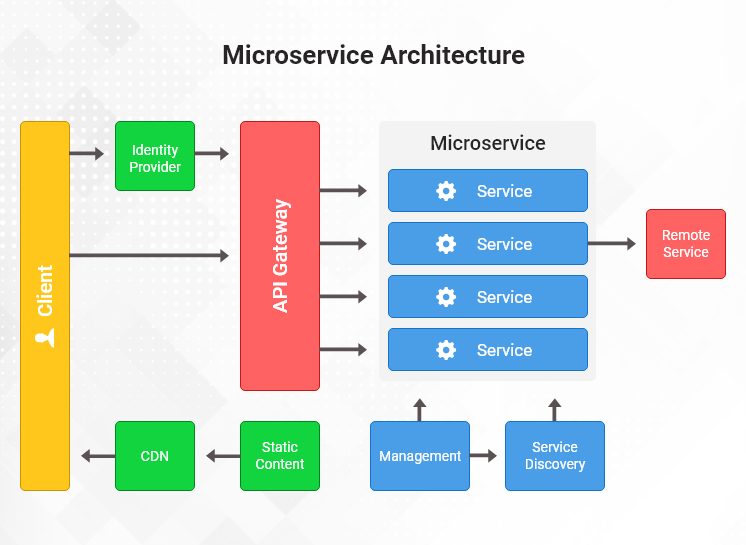 Cite this article as: Abhishek Ghosh, "What is Typical Architecture Based on Microservices," in The Customize Windows, April 14, 2019, April 18, 2019, https://thecustomizewindows.com/2019/04/what-is-typical-architecture-based-on-microservices/.